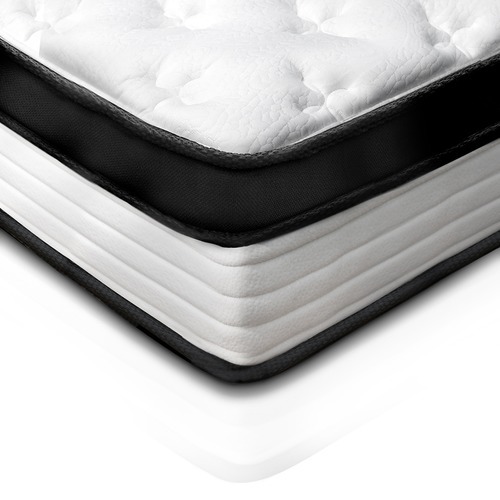 Incorporating cutting-edge technology, the mattress construction addresses all elements to offer you a comfortable and luxurious experience. 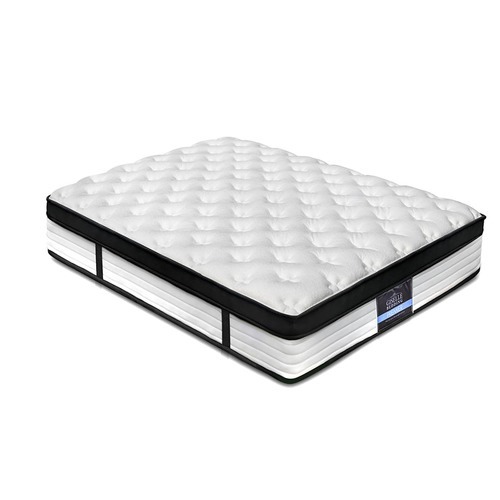 Euro top padding with high density foam and independent coil system will ensure an undisturbed sleep all night long. 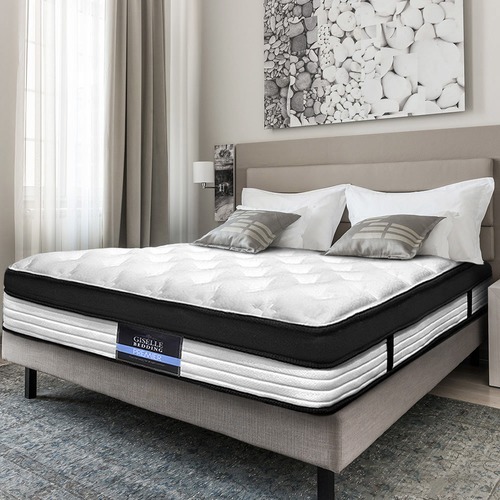 When you buy a Comfort Euro Top Foam & Coil Mattress online from Temple & Webster in Australia, we make it as easy as possible for you to find out when your product will be delivered to your home in Melbourne, Sydney or any major city. You can check on a delivery estimate for the DwellHome Part #: MATTRESS-BET-D / MATTRESS-BET-K / MATTRESS-BET-Q here. If you have any questions about your purchase or any other Bed Mattresses product for sale our customer service representatives are available to help.Whether you just want to buy a Comfort Euro Top Foam & Coil Mattress or shop for your entire home, Temple & Webster has a zillion things home. 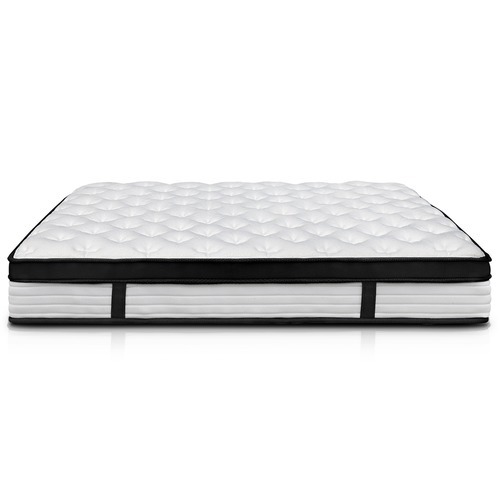 I purchased this mattress hoping it would suit our families needs for my partner and I both having different preferences when it comes to mattresses. Unfortunately, although advertised as 'medium' firmness - it was quite soft and even were you to sit on the edge of the bed, would roll off, it's that unstable in forming a firm structure which if being honest is pretty disappointing. 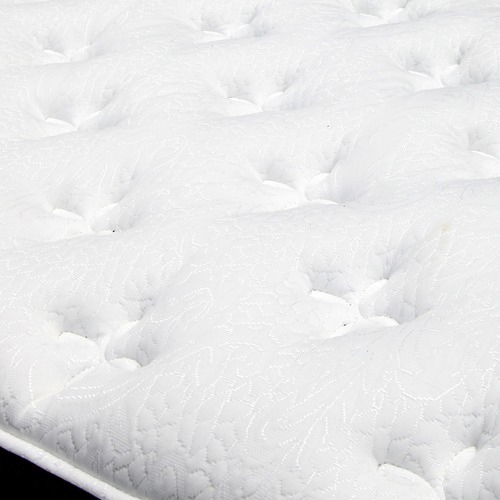 I haven't enjoyed it, and will be looking for a better mattress when financially that is possible to fork out again for the exact same thing. No fault to temple and webster as delivery and service has been great. 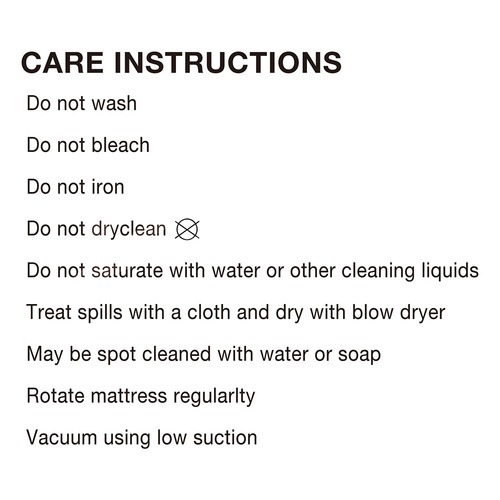 This just was an unfortunate purchase, where I learned not to buy anything online with regards to own physical wellbeing such as a mattress and your back. Glad it has worked for others, which was why we chose this one due to the reviews. so comfy i don't want to get out of bed! I order this mattress for my daughter and am surprised at just how comfy it is. I was worried it would be more on the medium side but i find it medium to firm side, which i was very happy about. really nice pillow top too. My own mattress cost many times this and yet i think this one is better, i guess time will tell! When I ordered the Comfort Euro Top Foam & Coil Mattress I was unpleasantly surprised when it arrived in a box! I thought...what have I done!! As soon as the mattress was cut from the plastic wrap it sprung onto the bed and is by far the MOST comfortable mattress I have slept on! it was actually purchased for my son's bedroom and he said he doesn't really like it as he can't get himself out of bed to get to uni on time! Great product! Most impressed! Fantastic- my son is so happy. My son who is nearly 12 and growing fast. He did not want a new bed he loved his little single bed he has had had since he was out of his cot. Now I can’t get him out of his lovely new bed for school. I must admit when I give him a cuddle in his bed every morning, I find it so comfy and soft too!! For the price can’t really beat it. It’s cool how it expands from the packaging! Would say it’s soft though, not medium, and I’m a 70kg person. If you are heavier you will weigh down the springs even more. 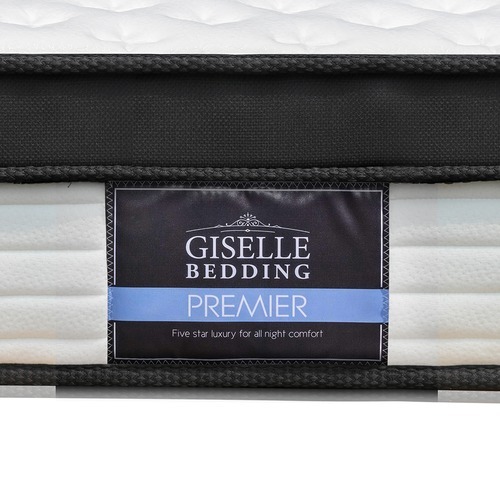 Very comfortable mattress for great value! A fantastic bargain for the quality and comfort of the mattress. 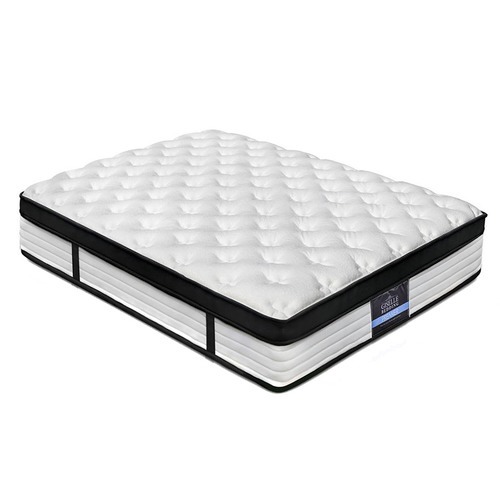 For anyone that's looking for a very firm mattress, I would mention that it is a little softer than the medium-firm as was described on the product page, it is more a medium firmness. In saying that, I've still have had many great and very comfortable nights of sleep on it. Super fast delivery too! Highly recommend. Excellent bought it as a spare mattress - so comfy. Fast delivery, and packaged so well. Once it opens out it is a super comfy plush mattress. 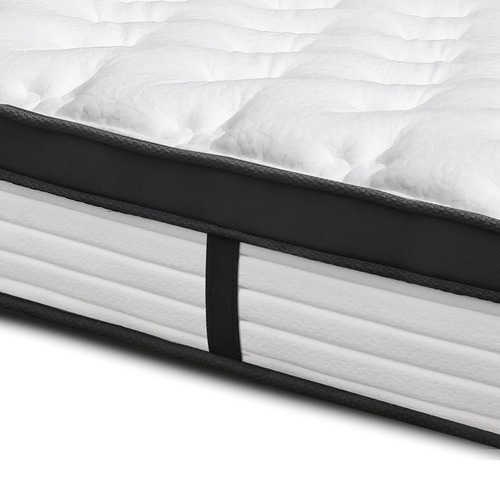 We are using this mattress in our guest bedroom, and although haven't slept on it ourselves, had several guests ask what brand and where to buy it because they found it very comfortable.